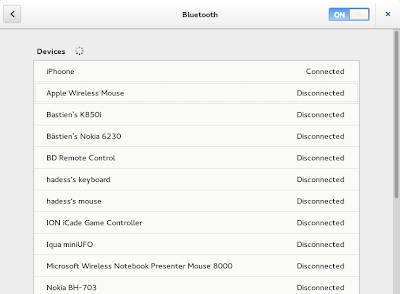 I'm glad to see some news about the bluetooth part of Gnome, thank you! You said that we will have to click on the devices to open the properties panel and to connect it. 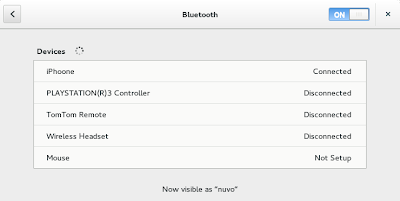 Is that mean that the automatic connection of bluetooth headsets wiil be removed? 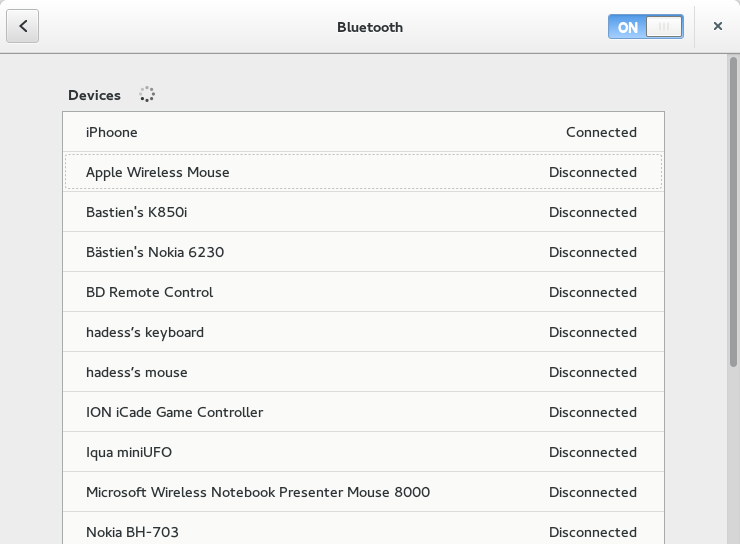 m0z: There's nothing in gnome-bluetooth that automatically connects to your headphones, it's the headphones connecting to your computer. That'll still work as it did before. While you're at it, any chance you'll add PAN server support to NM/Gnome-Bluetooth? With BlueZ 5, I can't use blueman anymore. Looks great, but who has a phone like that anymore? I enjoy seeing these dialogs evolve. Keep up the work and posts! ocrete: What's "PAN server"? There's PAN or NAP. Try using test/test-nap in the BlueZ sources? Pete: thanks, I'll certainly try to! 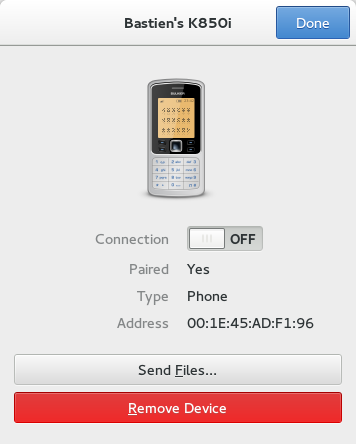 I'm already impressed by the quality of GNOME interfaces and bluez stack in GNOME 3.10! 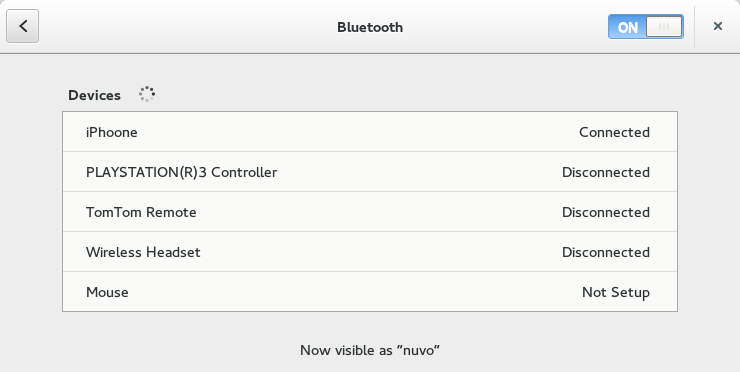 just an idea, show the device icon, left to the label of each device in the device overview. So people can more easy recognize the devices. Older people will not know what a certain mobile phone is, but if you show a mobile phone icon, they certainly will understand.